Publishers Weekly - Pennypacker shifts attention from Clementine to one of the popular character’s fourth-grade classmates, science-loving Waylon Zakowski, in this first book in a spin-off series. 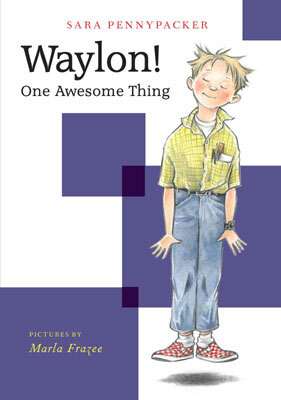 Through Waylon’s rational perspective, Pennypacker offers smart insights into the frustration of realizing that life isn’t entirely in one’s control—with his classmates dividing themselves into “teams” and his older sister embracing a new Goth identity, Waylon feels like he’s living his own version of the Big Bang (“Everything in his universe was exploding away in different directions”). Waylon’s insecurities, bigheartedness, and awe of the world at large should easily endear him to readers.